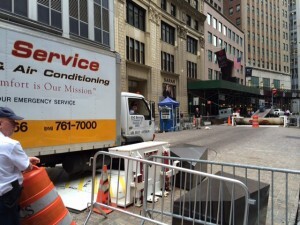 Sometimes it can seem like there are an endless amount of activities of New York City. That’s probably because it’s true. The city truly has something for everybody. 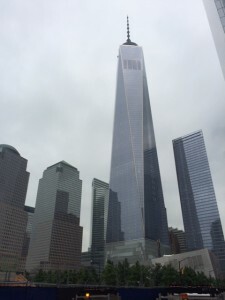 Here are a few more fun things to do while visiting the Big Apple. Famous for being the source of financial news in the United States, Wall Street has a much deeper history than one might think. Its roots date back to the 1600’s when Dutch settlers built a fortress in lower Manhattan. 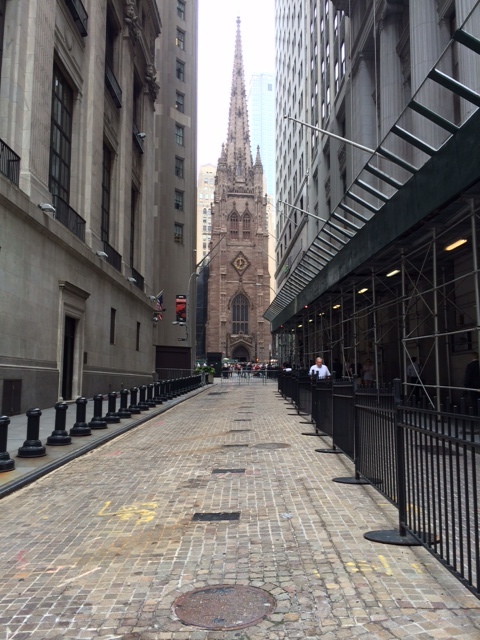 The outer limits of the wall are believed to have formed what is known today as Wall Street. Wooden ramparts have been left in the center of the street as a reminder of this fact. The Charging Bull has become the unofficial mascot of Wall Street and America’s financial markets. The bull was allegedly dropped off in the middle of the night in front of the New York Stock Exchange as a form of Guerrilla artwork to signify America charging out of the 1987 financial crisis. 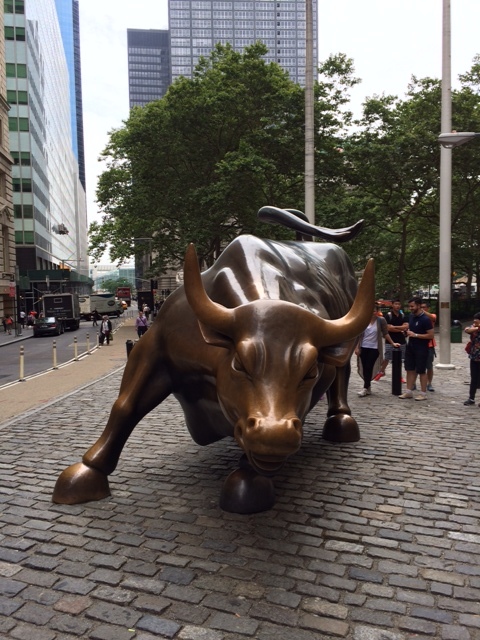 The bull is believed to be the most photographed landmark in NYC and is currently located at Bowling Green. 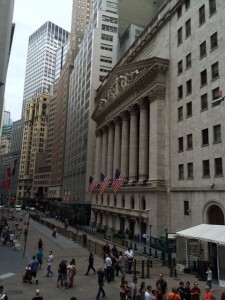 The New York Stock Exchange is located on Broad Street adjoining the corner of Wall Street. This is where men in funny jackets can be seen frantically trying to make trades. Security has been drastically increased since 9/11. To protect the financial markets from terrorism many of the trading now takes place online with servers and data centers located off site. Security is so intense that no vehicles can drive down the street without passing a security checkpoint that includes a full search with dogs. 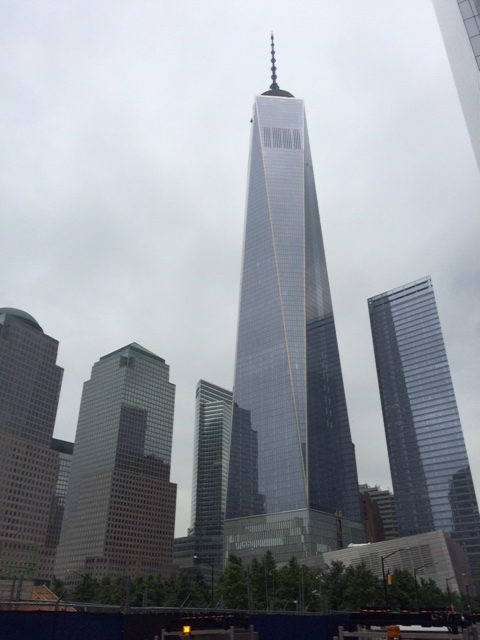 In the wake of the attacks of 9/11 New York has taken drastic steps to rebuild from the tragedy. 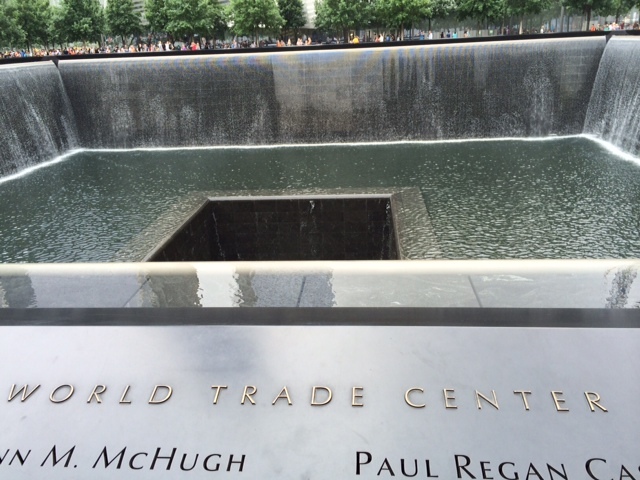 The city has done an exemplary job of recognizing the long list of people who lost their lives when the towers fell. 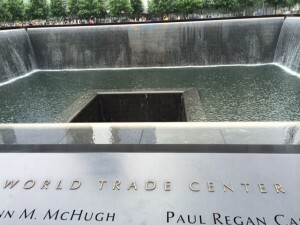 The World Trade Center Memorial lies in the footprint of the buildings that came down on September 11th and with the names of the dead being highlighted all around it. The two square holes are surrounded by waterfalls disappearing into the center of the space. This massive memorial located in the heart of lower Manhattan and is backed by the new ‘Tower One’ at World Trade Center Plaza.